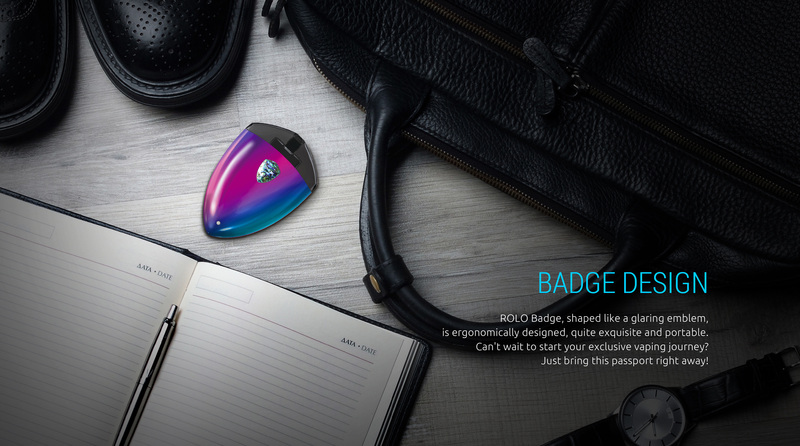 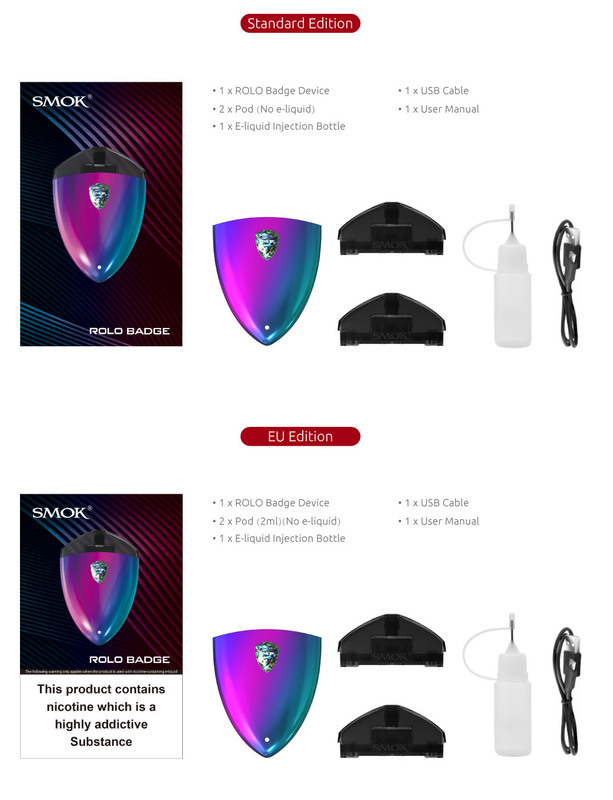 SMOK’s ROLO Badge is ultra-portable, comfortably palm fitted, lightweight to be easily carried for parties and gatherings with friends and families. 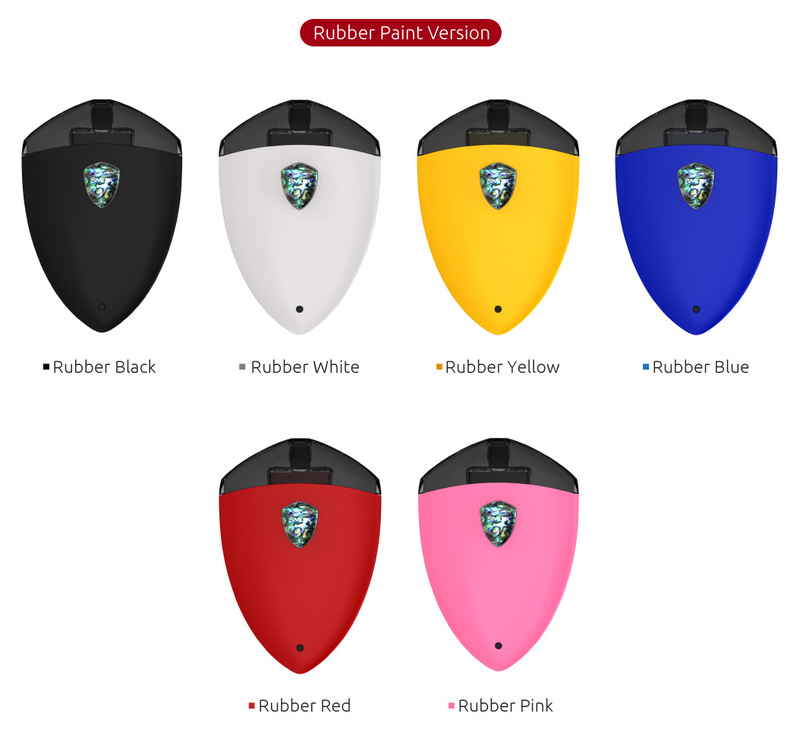 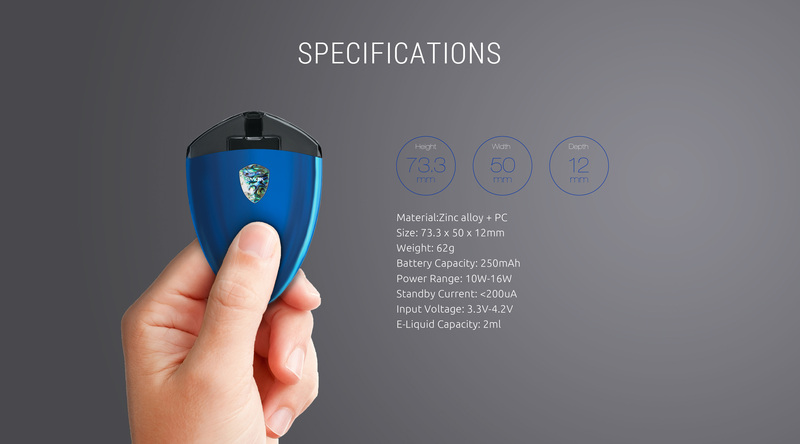 The mod kit has striking shield design element featuring 250mAh battery with the 2ml capacity of nicotine salts enough to satisfy vaping essence. 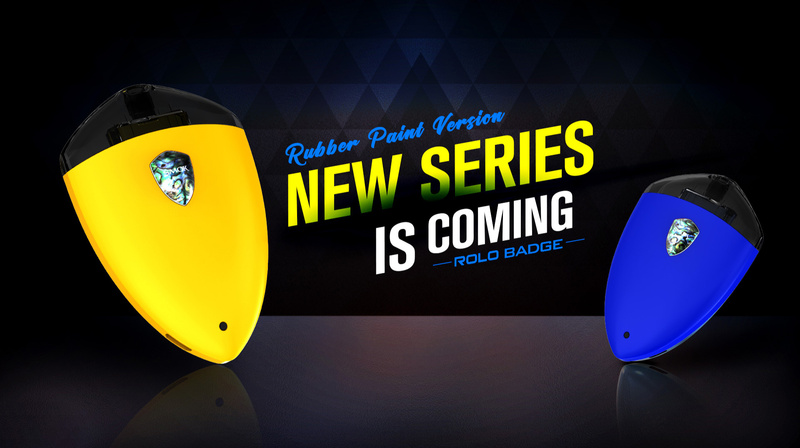 The ROLO badge device works on the draw-activated firing mechanism and an integrated battery with LED indicator. 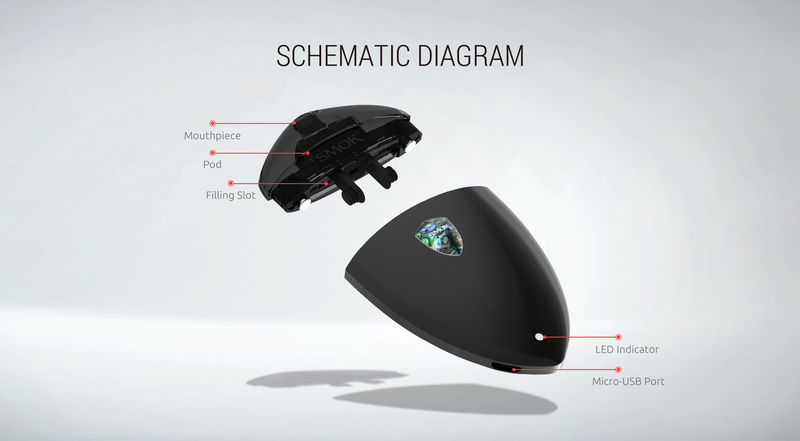 The device offers replaceable cartridges make it more robust. 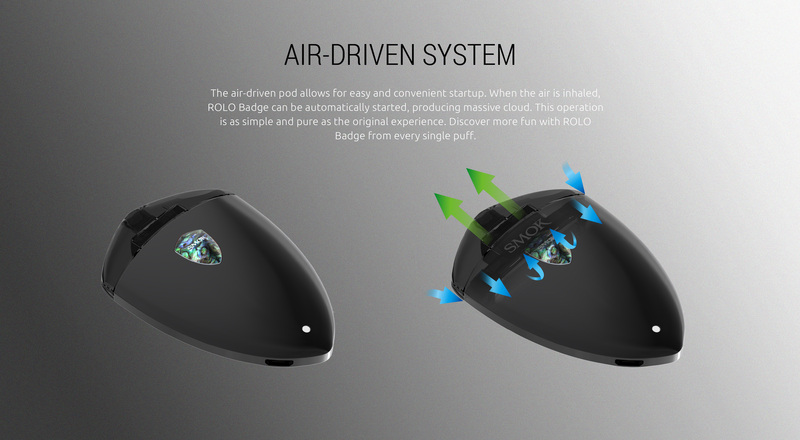 The juice can be easily refilled from the side and enclosed with a rubber plug. 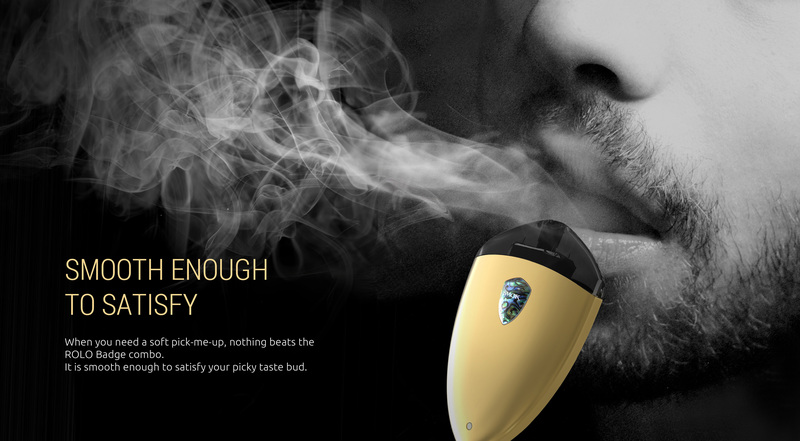 The hassle-free operation to enjoy vaping and fascinate vape chasers. 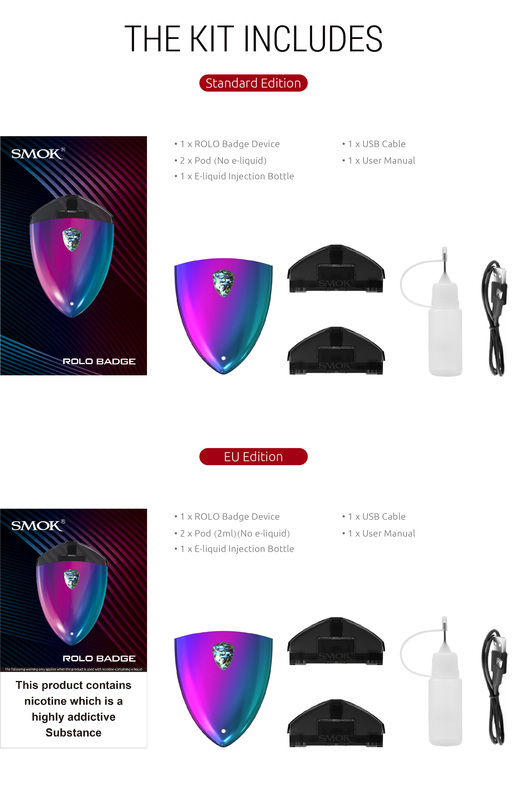 Indeed, the SMOK ROLO Badge is a remarkable device in the vaping industry. 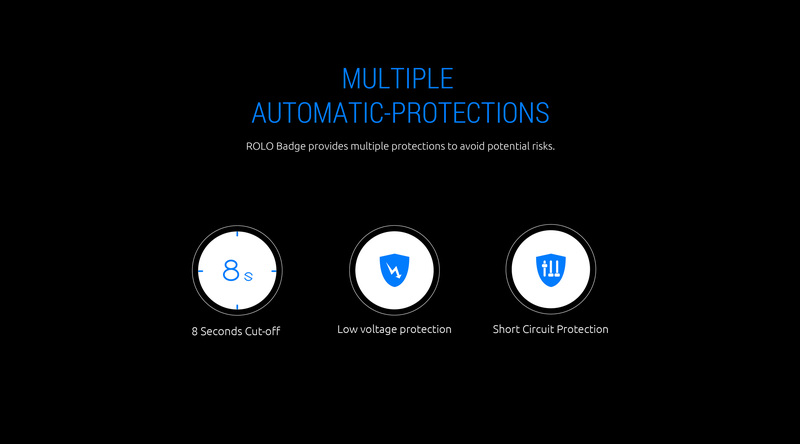 Rely on ROLO badge for both outdoor and indoor activities and ensure fun all the time.